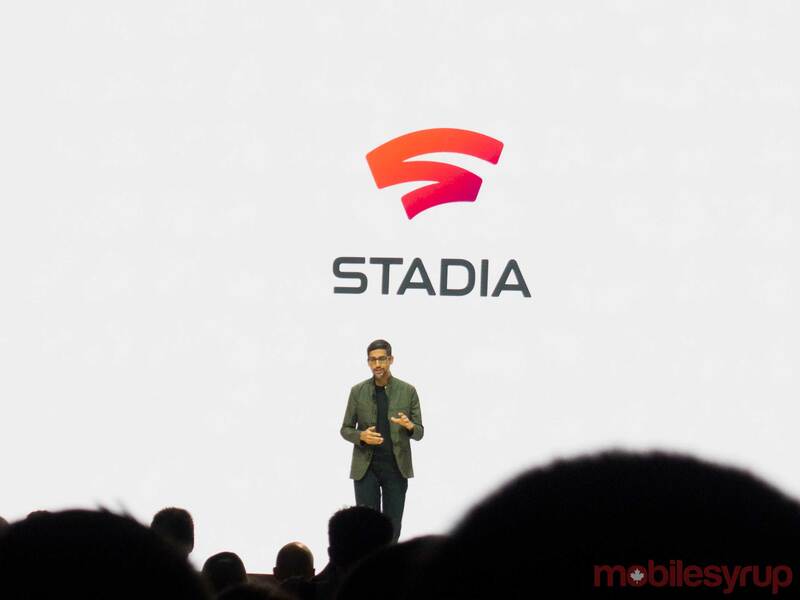 Earlier this week, Google took to the stage at the Game Developers Conference (GDC) to unveil Stadia, its games streaming service capable of offering high-quality experiences across a variety of devices, even smartphones and low-level PCs. That said, the Mountain View, California-based tech giant has left many Stadia-related questions unanswered, even after its massive GDC keynote. 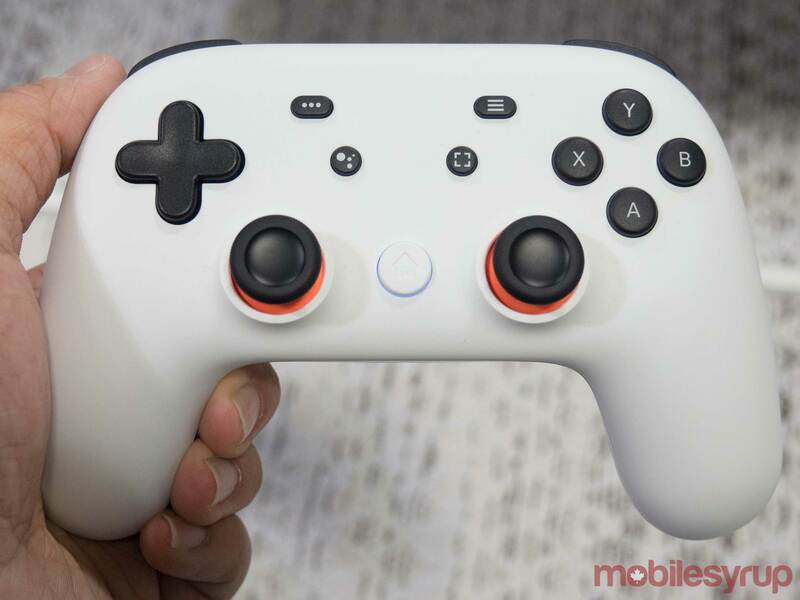 To get a better idea about Stadia, MobileSyrup sat down with two key players in the development of the streaming service: Jack Buser, Google director for games, business development, and Majd Bakar, vice president and head of engineering for Stadia. While Buser and Makar weren’t ready to talk about Stadia pricing, games library or public testing, the pair did elaborate more on the technical aspects of the service. Specifically, the two discussed the overall philosophy of the service and some of the ways Google is working to ensure a consistently smooth and high-quality gaming experience. Question: At what point did Google decide that it wanted to get into games streaming and AAA gaming? Why do you think 2019 is the right time to finally unveil and launch Stadia? I think it’s really foundational to the mission of Google, to make the world’s information more useful and accessible to everyone. And we looked at high-fidelity games and we saw that in many cases they weren’t as accessible to many people as was possible using technology. We realized that Google is uniquely positioned to break down these barriers to AAA, high-fidelity games and that’s where Stadia was born. Majd and I have been working on this for years and it’s been our mission to bring this content to billions of people all around the world. Q: Google is obviously no stranger to the games industry, given that the Android platform is so ubiquitous with video games. How did Google leverage its experience in mobile gaming when branching out into Stadia game streaming? Games have been infused into the core business of Google for quite some time, whether it be our activities online on the web or YouTube or even Android and the Play Store. Games really are part of our DNA at Google. We’ve really leveraged the best of Google for Stadia. We’ve brought learnings from all over the company, it’s not just limited to Android or the Play Store or even YouTube, but our machine learning technology, Google Assistant, Chrome browser, Pixel and Pixelbook. We’ve taken learnings from all over the company to develop Stadia. It really does represent the best of Google. Q: Google Stadia boss Phil Harrison has recommended that players have a minimum connection speed of 25mbps to get 1080p/30fps gameplay. What will the Stadia experience look like for players who aren’t able to meet that recommendation? While we recommended around 25mbps for Project Stream, most of our gamers were actually around 20fps, believe it or not. We think by the time we get to launch, we should be able to deliver 4K with HDR at somewhere around 30mbps. With the advancements in technology, we’ll be able to provide higher and higher quality and lower and lower data rates over time. Q: Given that some consumers don’t have unlimited monthly internet, data consumption can present a problem for them. How does data consumption look depending on the device you’re using? Buser: In terms of usage, it should perform a lot like other streaming services. If you’re used to streaming YouTube or Netflix, you know how those services perform across different devices, and you can expect Stadia to be somewhat similar. Bakar: You’re going to see people sitting in front of their laptop or a computer. They’re going to sit for a longer time since it’s more comfortable, it will be a longer session in terms of usage. On the phone, it will most likely be smaller [play sessions]. We will adapt our method of distribution to the screen that you’re playing on and deliver the highest possible quality on that. Our goal is to give you the highest image quality with the most responsive game, regardless of which device you are playing on. Q: In the event that someone is streaming via Stadia and loses connection, what sorts of features is Stadia implementing to preserve player progress? Bakar: The game is always running on the server and will be saved immediately, so they will never be able to lose progress. Let’s say they were hit with a power outage for their whole neighbourhood. Stadia is actually better than running locally because when the game is running on a data centre, it will continue to run and their progress will be saved immediately there. If their connection dips, this is the beauty of our streaming technology. It is adaptive, so we will adapt our method of distribution at the networking level to ensure that the image quality and responsiveness are kept and we will just lower out bitrate. 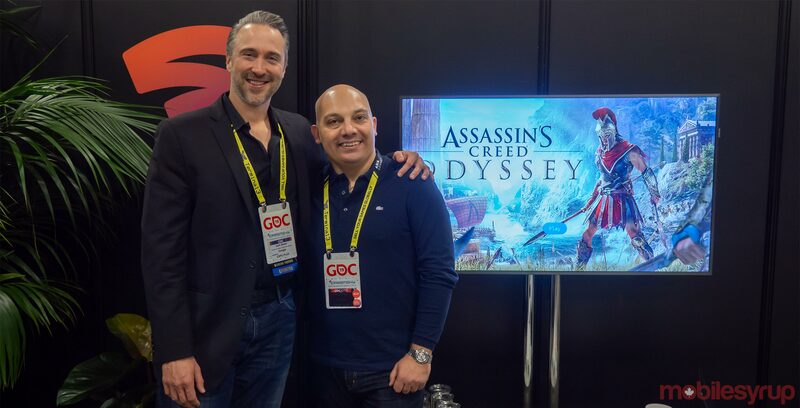 Q: You’ve only announced a few Stadia titles so far, so let’s use Assassin’s Creed Odyssey as an example: what if, hypothetically, Ubisoft ends all support for the game tomorrow? What would that look like for Stadia players who want to keep accessing the game? Majd: We will ensure that our gamers will be able to continue playing the games. That’s not to be worried about. Q: I attended an earlier panel with some developers who were talking about how Stadia’s developer-minded tools might inform the future of game development. They were noting that while technology like machine learning can certainly assist in the making of games, it might also hurt developers. Specifically, one of the panellists, Uncharted series creator Amy Hennig, said she wants to avoid people getting “machine learning-ed” out of a job, so to speak. How is Google balancing Stadia to ensure that it remains a useful tool for developers that doesn’t render some of developer jobs obsolete? Buser: I think machine learning is a technology that game developers have been experimenting with in the lab for quite some time. The challenge with many developers in implementing that type of technology in today’s games is that the resources in a traditional console or PC in your living room are constrained. They’ll get a neural network up and running on the device and they’ll need to use that resource for something else like graphics. One of the amazing things about Stadia is that we have the ability to do this type of distributing computing so that you can have very robust machine learning algorithms properly supported in games. The possibilities are really endless. I think you’re going to see machine learning really push the boundaries of what’s possible in terms of game experiences in ways that really boggle the imagination. Buser: Look, I’ve been in the games industry for a long time and I’m fully committed to this. Google has invested very, very heavily in Stadia and I think the way we showed up [to GDC] really puts a stake in the ground. We are committed to this project. Bakar: Our show opened with our CEO [Sundar Pichai] on the stage. You can’t have a bigger commitment than that. [laughs] We are definitely committing our careers to this. Google has put a lot of investment into Stadia — we’re putting our money where our mouth is. We announced that we are investing $13 billion in infrastructure [in 2019] and some of that is for Stadia. This is not a side project. It’s not something that’s temporary. We’re in it for the long haul. On the subject of looking to the future, what are some of the game streaming-related hurdles that Google will continue to work towards overcoming in the long-term? Bakar: It needs to be the best quality possible. Part of it is what we did with Project Stream to understand the market dynamic, to understand the connection in the public with a very, very large number of users. And actually, we got very, very positive data, very encouraging data, in terms of people connecting, their behaviour, how they interact with the game, the pattern [in which] they play. That helps us a lot in honing down our execution. Buser: To build on that, one of the things that I’m very excited about moving forward is for more people to try Stadia. 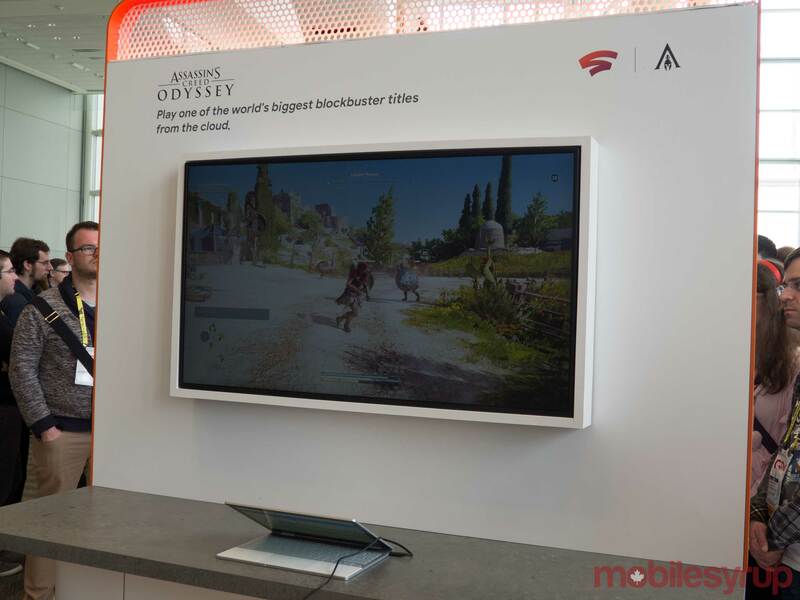 We saw this first in Project Stream where we rolled out Assassin’s Creed Odyssey as part of a technical test in the U.S. that people got hands-on and went ‘wow, this actually works!’ We had people reporting that they were playing on an old laptop in Starbucks and it was performing as well as their gaming rig back at home. One of the big opportunities for us is to roll out the service and have people get hands-on with it. Take Doom, you’re looking at a high-twitch, 60fps, full-blast AAA game. It’s as twitchy as they get, and just the fidelity of the experience is just unbelievable. That’s probably the biggest opportunity for us in the near future, to just get the service into the hands of more folks. This interview has been edited for language and clarity.